Mogami 2524 Guitar Cable is now available from Ordio Cables. 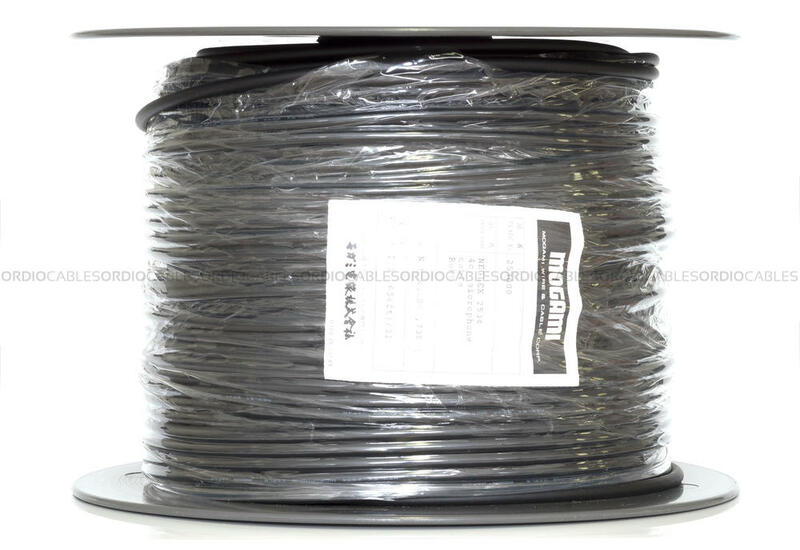 We offer Mogami 2524 both in pre-cut lengths sold by the metre and also in bulk. 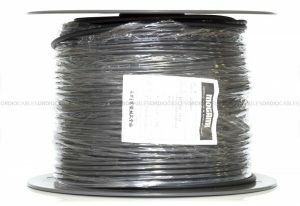 Mogami 2524 is available in a bulk spool at 200M only. Mogami instrument cable is the worlds most respected and requested guitar cable. 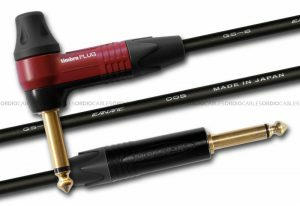 Despite all other reputable cable brands, Mogami 2524 is regarded as the preferred guitar cable for professional live and recording artists. Before you read the technical information on Mogami 2524 Guitar Cable below the only thing you’ll ever need to know and learn about cabling is this. Good quality instrument cables are the fundamental veins carrying all of your tone and sonic information. It is at this point that quality ‘really’ matters. 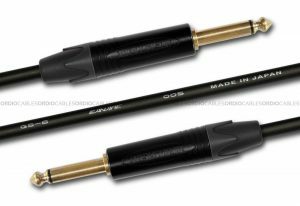 Mogami 2524 Guitar Cable is made to the highest specifications and is used straitly by anyone who is ‘anyone’. Most musical instrument sound pick-ups, for example those in electric guitars, are comprised of high impedance circuits driven mainly by voltage, with very little electrical current flow. That is why handling noise (microphonics) can be a problem for guitar cables. Microphonic noise is caused by the minute voltage generated when a cable is flexed, stepped on, etc. Guitar cables must be designed to prevent this, so a conductive PVC layer is placed under the shield conductor to drain away this voltage. Note: This conductive layer must be stripped back when wiring, or a partial short will result.